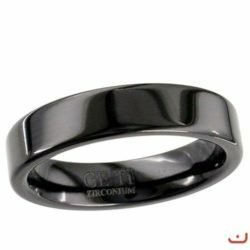 Slight court ceramic ring in black ceramic with steel edges. 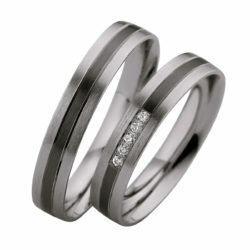 The cubic zirconia ring is set with brilliant cut stones all around on both sides. 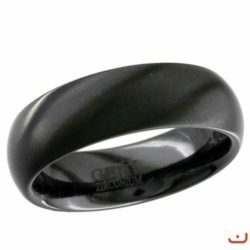 Slight court ceramic ring in black and white ceramic. 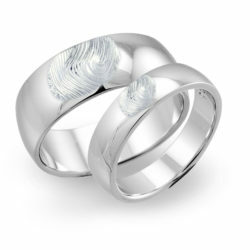 The rings are surrounded with a band of steel. 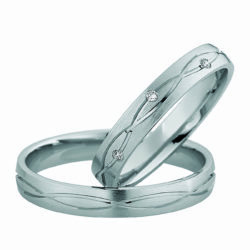 The cubic zirconia ring is set with brilliant cut stones all around. 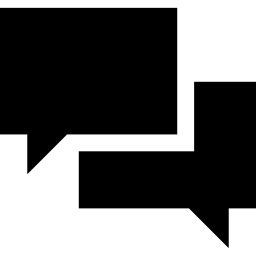 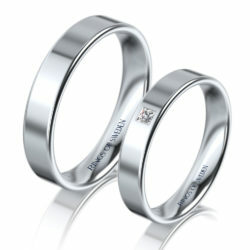 Do you want to be absolutely sure of your size? 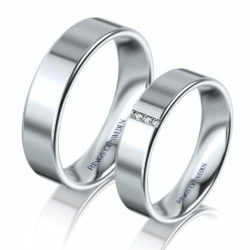 Then you can order our ring sizers in aluminium in your preferred width and profile. 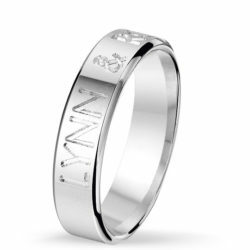 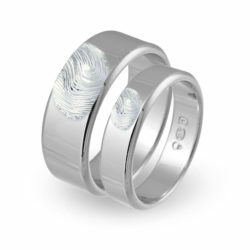 The ring sizer includes 3 rings in aluminium. 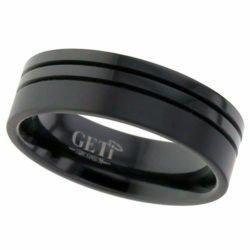 Flat court ceramic ring in black ceramic with steel edges. 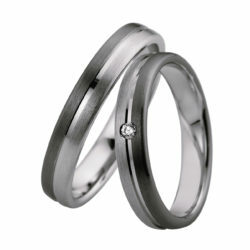 The cubic zirconia ring is set with ten brilliant cut stones. 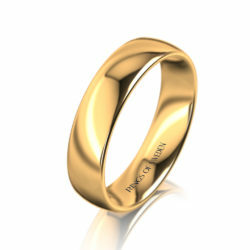 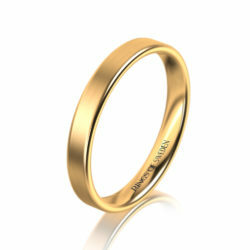 Beautiful semi-court gold rings with brushed lengthwise (matte) finish. 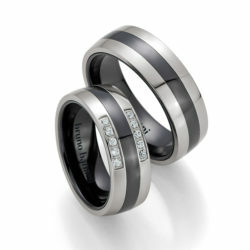 The diamond ring is set with 7 brilliant cut 0.03 ct G-vs diamonds. 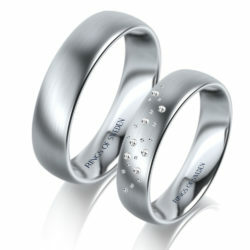 Let this starry sky of diamonds and sparkling ornaments represent the unforgettable moments in your relationship. 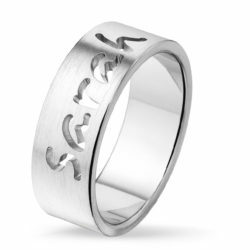 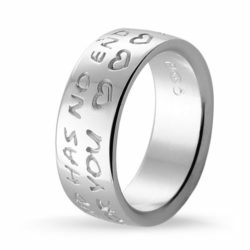 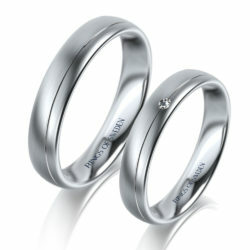 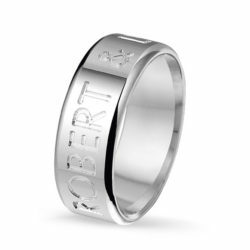 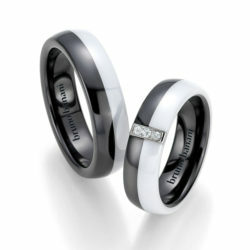 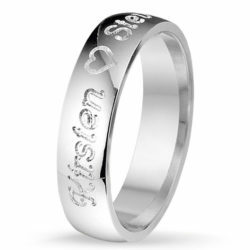 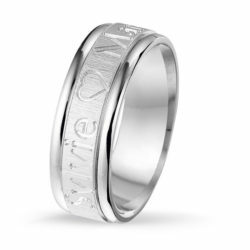 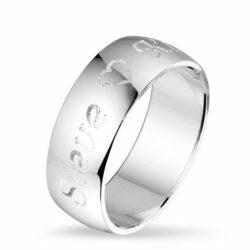 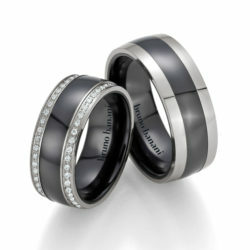 The rings have interior comfort-fit, so you can wear them comfortably on a daily basis. 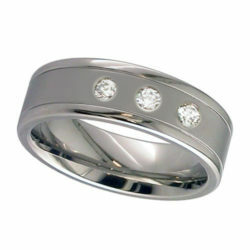 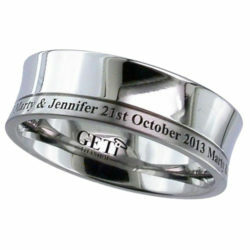 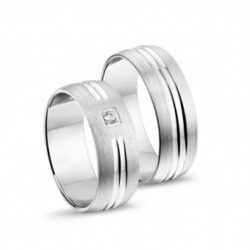 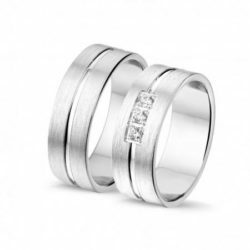 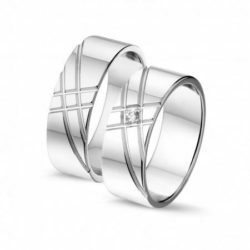 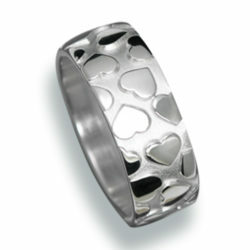 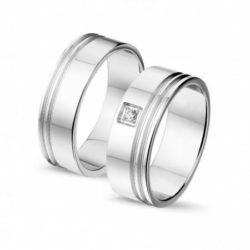 Suitable for engagement rings or wedding rings and can be combined with one of our eternity rings. 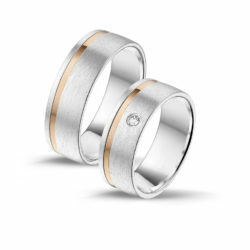 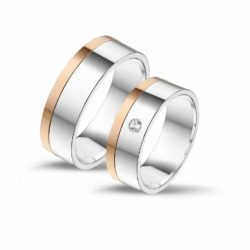 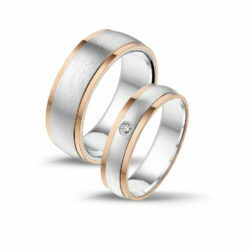 Choose between yellow gold, rose gold, white gold or platinum 950. 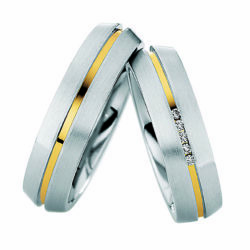 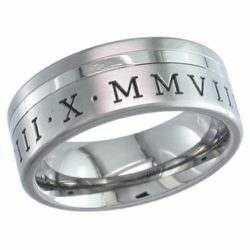 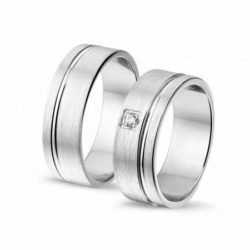 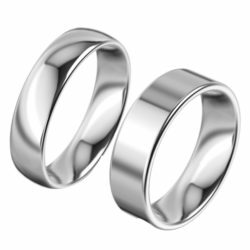 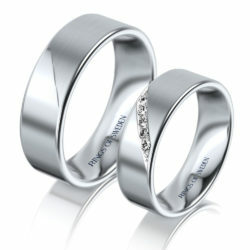 Contact us if you have special requests to tailor your rings. 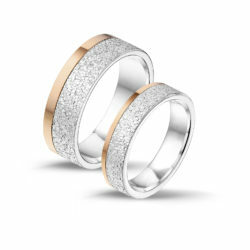 All rings from Rings of Sweden Collection come with high quality G-vs diamonds, which is significantly clearer than for example H-si. 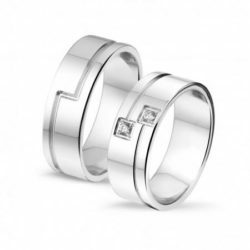 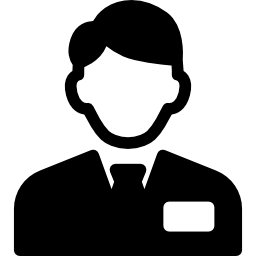 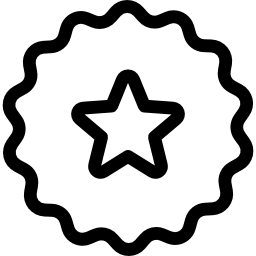 Read more about our diamonds here. 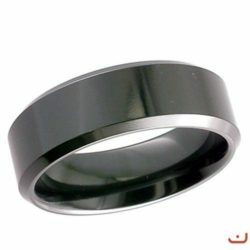 Slight court ceramic ring in black ceramic with steel edges. 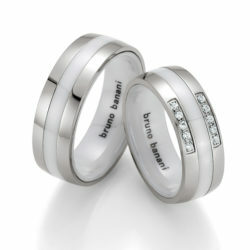 The cubic zirconia ring is set with ten brilliant cut stones. 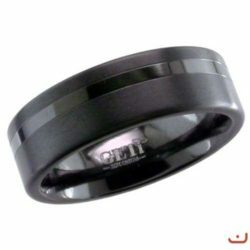 Slight court ceramic ring in white ceramic with steel edges. 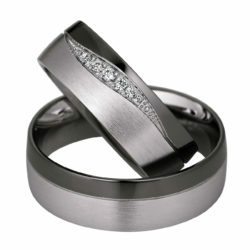 The cubic zirconia ring is set with brilliant cut stones all around on both sides. 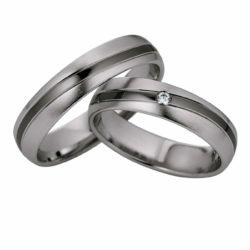 Slight court ceramic ring in white ceramic with steel edges. 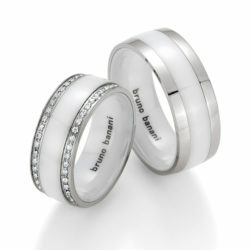 The cubic zirconia ring is set with ten brilliant cut stones. 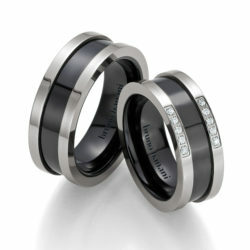 Slight court ceramic ring in white and black ceramic. 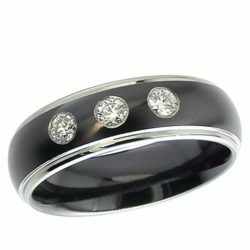 The cubic zirconia ring is set with three stones. 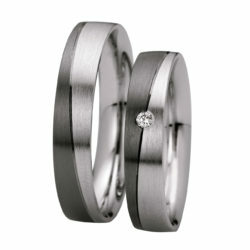 The rings are available in the sizes With stones: 50, 52, 54, 56, 58, 60 Outside stone: 58, 60, 62, 64, 66, 68 Delivery time: 2-4 weeks. 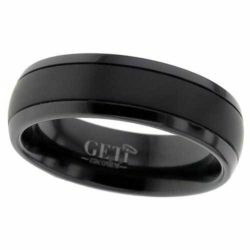 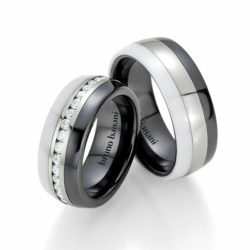 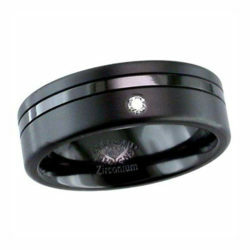 Slight court dome profile, twin finish Black Zirconium ring. 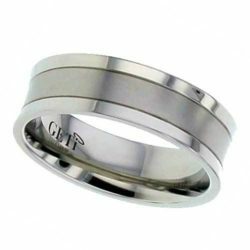 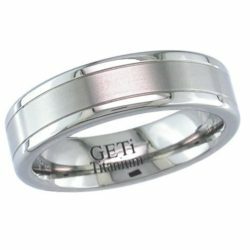 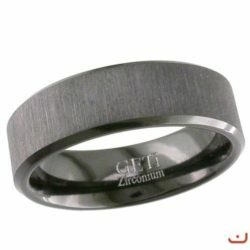 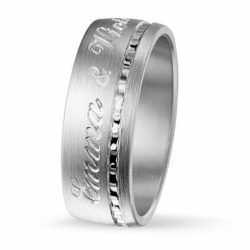 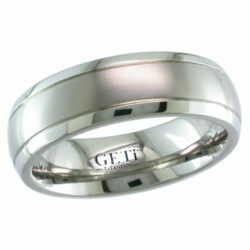 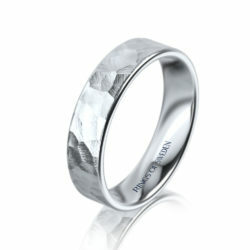 Dome Titanium ring with 2 fine grooves - satin brush finish.